Published on One Lovely Day by Project Wedding! This certainly cheered up my gloomy day today! 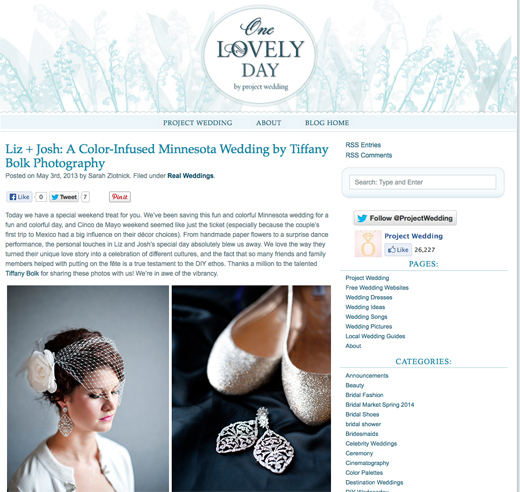 My photos from Liz and Josh's wedding last fall were published on Project Wedding's blog, One Lovely Day! Check it out! This certainly cheered up my gloomy day today! My photos from Liz and Josh’s wedding last fall were published on Project Wedding’s blog, One Lovely Day! Check it out!